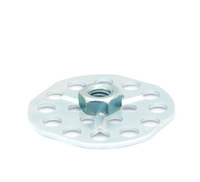 F1 female hexagonal nut bonding fasteners - Veck Fasteners. varies depending on nut diameter. Should you require assistance with your bonding fastener requirements, please contact us and a member of our team will be happy to assist you.